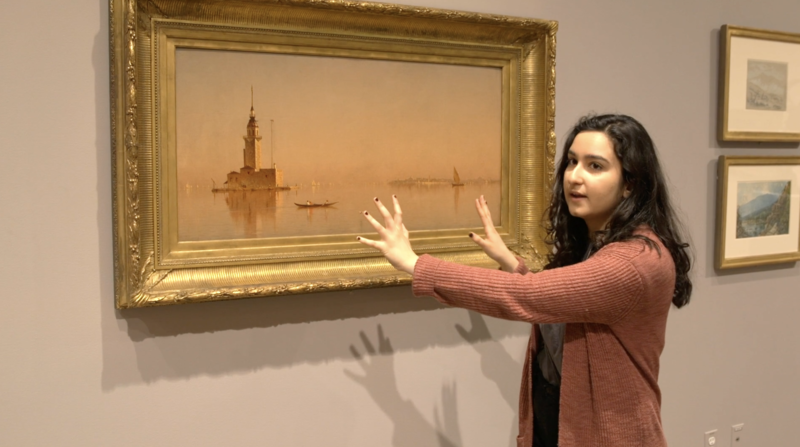 As a student board member at the museums, Sophia Feng ’17 went above and beyond in encouraging her ESL class, as well as her Harvard peers, to visit and engage with the Harvard Art Museums. Sitting in the Calderwood Courtyard, Sophia Feng ’17 thought back to her very first visit to the Harvard Art Museums. As a sophomore Student Board member in Fall 2014, she had the chance to tour the renovated facility weeks before the reopening. The experience of entering the courtyard and looking up at the glass rooftop left a strong impression on her. In fact, welcoming others has been a key theme of Feng’s involvement with the museums. 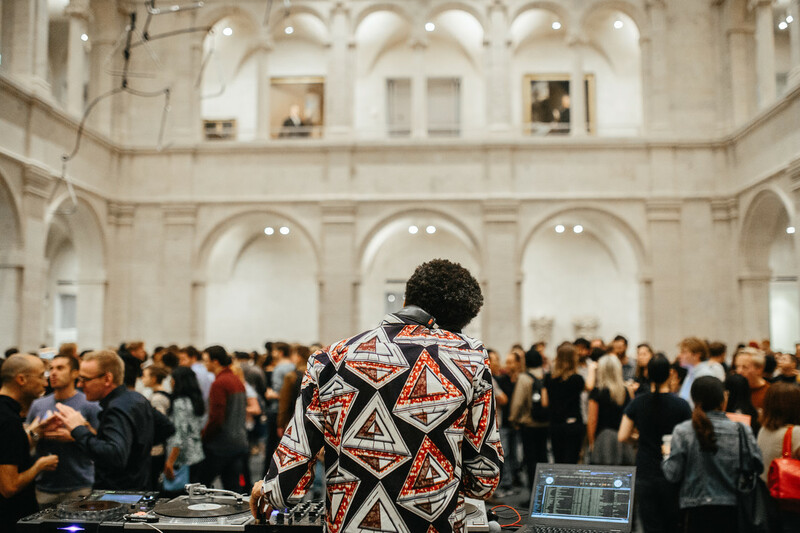 Over the past four years, Feng has engaged with the museums in many ways—not least as a conduit for others who want to make their own discoveries and get involved. Through her volunteer roles as a teacher and a director of the Phillips Brooks House Association’s (PBHA) Chinatown ESL program, Feng has helped dozens of Chinese immigrants learn English and prepare for their citizenship tests, right here on campus. As she gained experience teaching, Feng strove to make the curriculum more dynamic and responsive to her students, who ranged in age from about 50 to 75. So one spring day, she brought 12 of her ESL students to the museums, where they immediately began discussing original works of art. “We didn’t even make it to the second floor because everyone was so enamored with what we saw on the first floor,” Feng said. The group especially enjoyed studying works from the Wertheim Collection, including Monet’s The Gare Saint-Lazare: Arrival of a Train (1877), which gave the students a chance to practice transportation-related vocabulary. The class also looked closely at objects in the Arthur M. Sackler Museum galleries, including the second-century sculpture Standing Saddled Horse. Though the students were sad to leave after an hour and a half, their relationship with the museums was just beginning; many made return visits on their own. And that initial visit opened doors for additional language learning in the Chinatown ESL program. Inspired by the field trip, Feng began incorporating art into subsequent lessons to spark conversation—a technique that she said has proved very successful. Feng actively sought to bring another group into the museums: her Harvard peers. 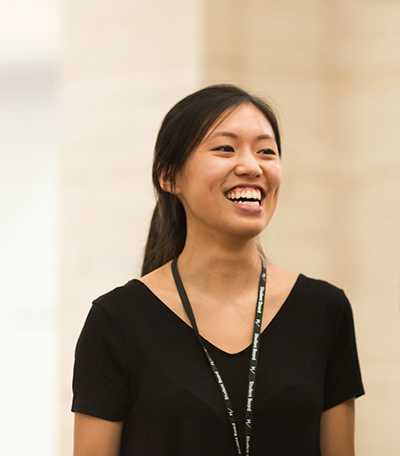 In her role as a Student Board representative for Pforzheimer House, she helped organize student events at the museums, such as the popular Student Late Nights. 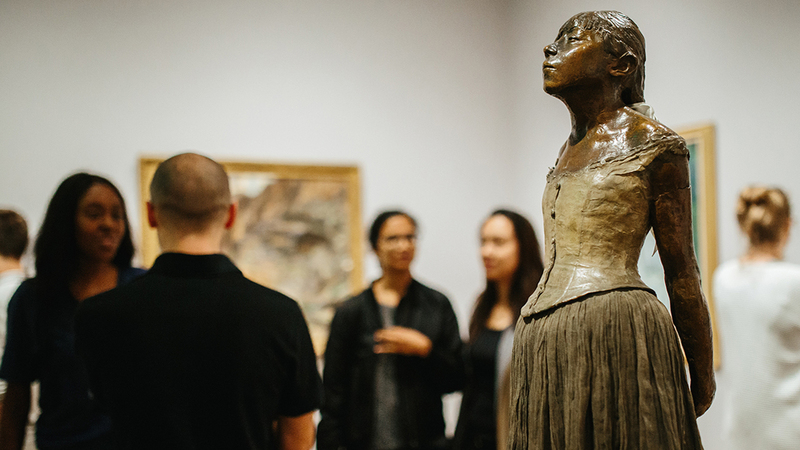 For some students, those experiences were their first time stepping foot in any art museum, let alone one just a short walk across campus. “I think there’s a perception that you need to have baseline knowledge in order to appreciate anything in an art museum, but that’s not the case,” Feng said. Fortunately, she added, she’s had the pleasure of watching some of her friends and classmates come to that realization. Erin Northington, manager of student engagement programs for the museums’ Division of Academic and Public Programs, said Feng’s impact has been enormous. “She has warmly and enthusiastically welcomed her fellow students to the museums, encouraged faculty members of all disciplines to consider teaching with the collections, and helped us open our doors even wider to community friends and neighbors through her work with PBHA,” Northington said. Feng especially likes to introduce student newcomers to the Winter Gardens, glass-walled spaces on opposite ends of the Level 2 galleries. In one such room, terracotta models by Bernini are displayed against floor-to-ceiling windows that offer a view of the Carpenter Center. “I like the natural light there—I think it’s the most luminous room in the building,” Feng said. “It’s also nice to see that connection as a student, to see where you can study [in the Carpenter Center] and what you could eventually create” in the Harvard Art Museums. Putting her dual interest in art and community service to broader use, Feng spent her final Harvard semester interning with the Boston Chinatown Neighborhood Center as it opened a new arts space. In the future, she said, she’ll consider pursuing a master’s degree in art history.